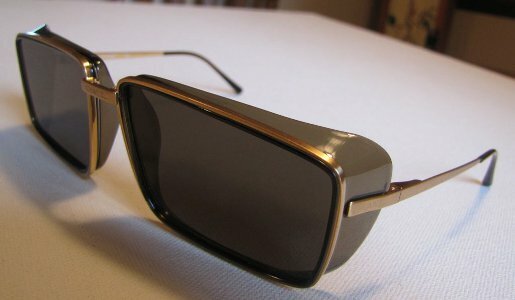 Really cool retro, vintage pair of Chanel sunglasses. I believe they would fit either a woman or a man. There are quite a few names and logos on the sunglasses and I have tried to include photos of them all in this listing. 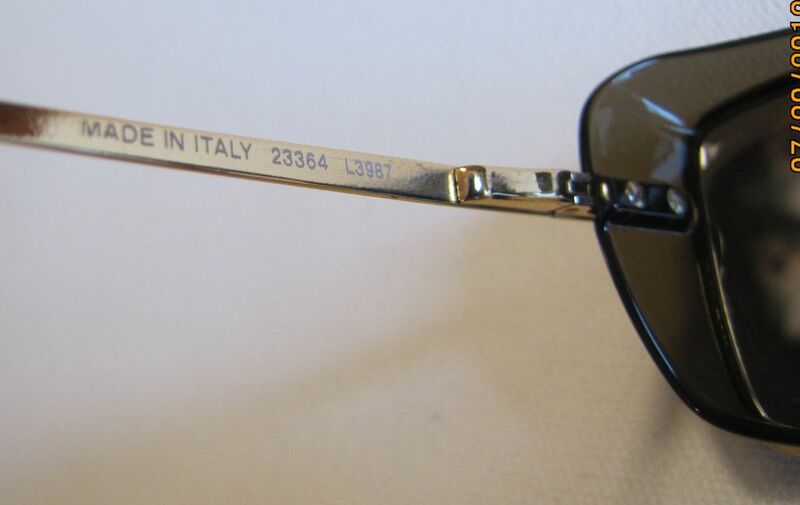 They are marked as follows:Chanel on gold bridge Arm marked Made in Italy 23364 L3987 Arm marked with C in circle Chanel CE and R in Circle Both lenses are engraved with Chanel (with C in Circle and Rin Circle) on upper right of lens and upper left of other lense. 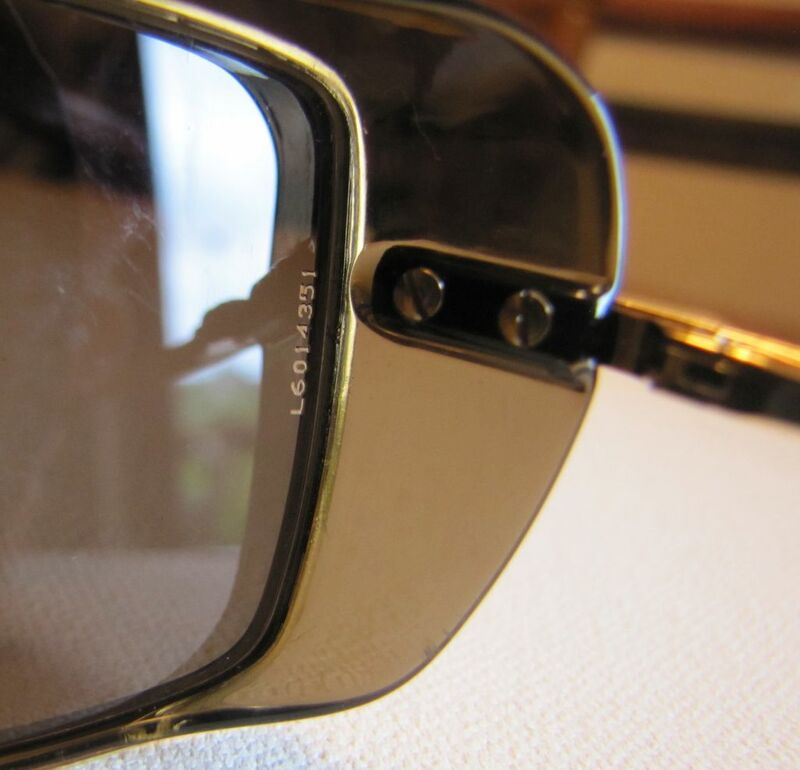 Very end of both armshave the interlocking C's in gold Chanel logo on both gold sides of lenses. They measure 5 1/2" across the front bridge area. 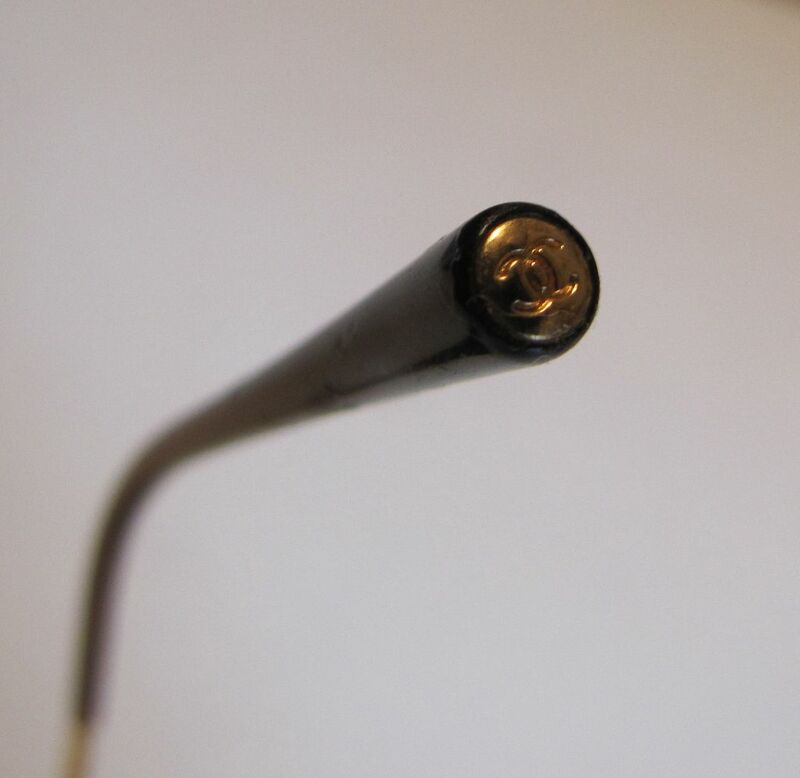 The arm measures about 5 1/4" andthe lenses are 2 3/8" by 1 5/8". There are some scratches on the lens, but nothing bad,otherwise they are in good condition.